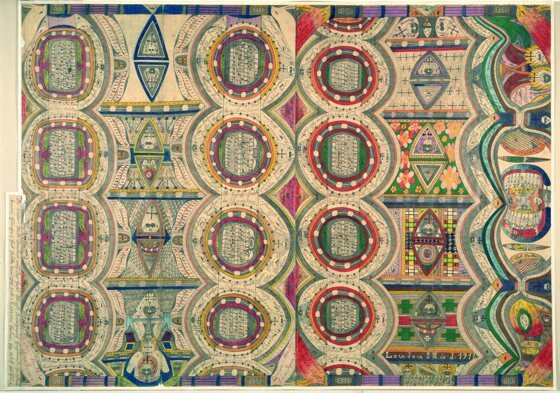 These stunning images are drawings or details of works of the artist Adolf Wölfli. 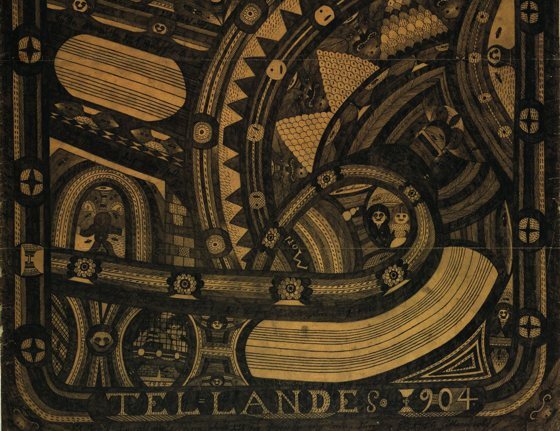 Adolf Wölfli (1864-1930), was an orphan who had no more than a basic education; a hired hand and day labourer who was sentenced to two years in prison for a moral offence and was subsequently interned at the Waldau mental asylum near Bern. 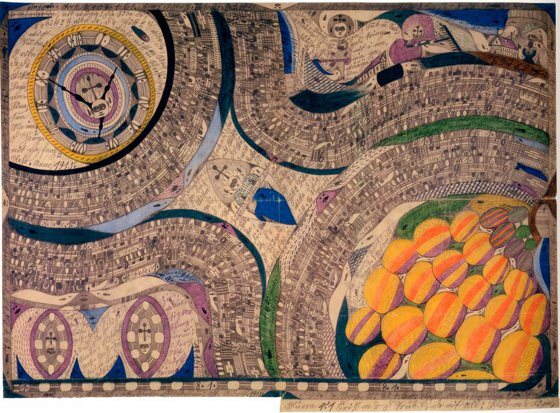 Over time, he managed to transform his life of misery, social isolation and mental illness into an immense creative potential. 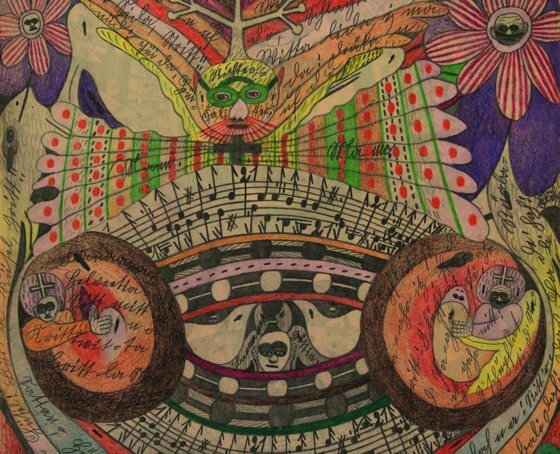 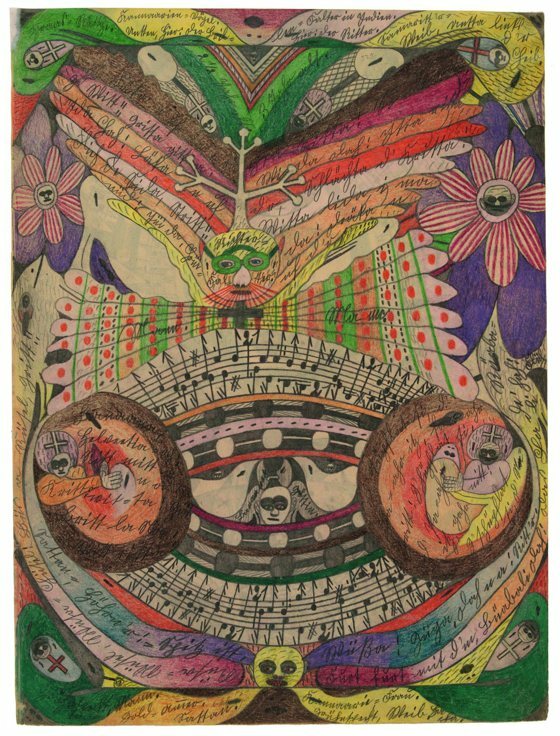 He left behind a remarkable oeuvre consisting of 25,000 pages of texts, syllabic musical compositions and numeric notation, accompanied by 1,600 drawings and 1,640 collages. 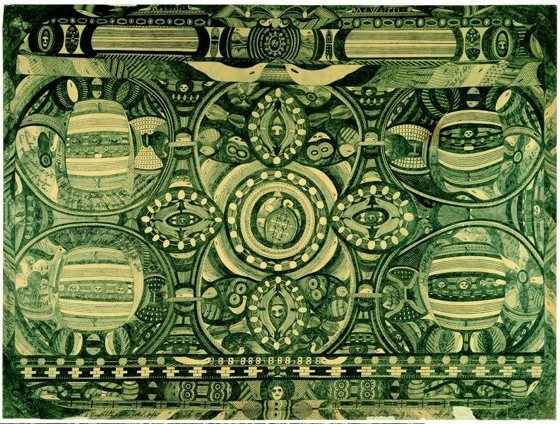 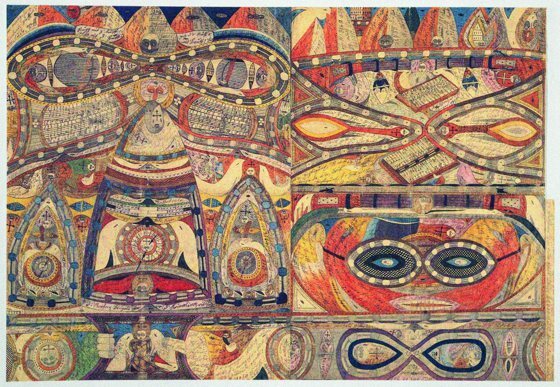 The multi-layered symbolism of his parallel world weds the symbols of western culture with universal archetypes, placed into the context of the artist’s personal mythology. 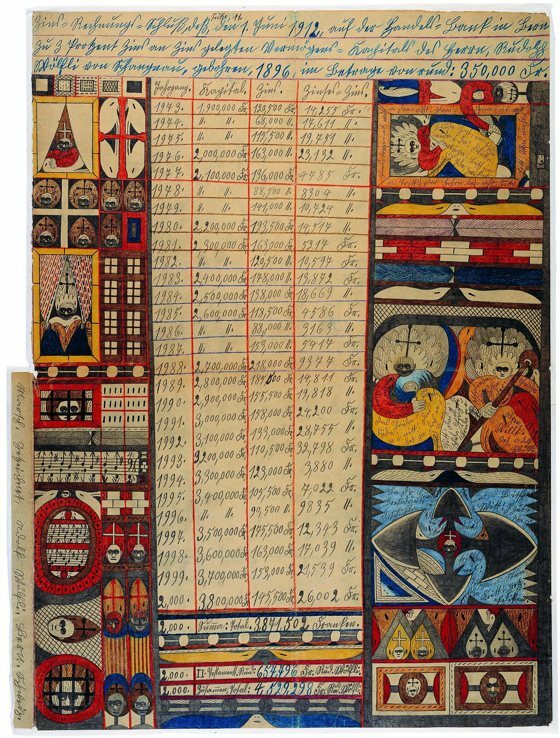 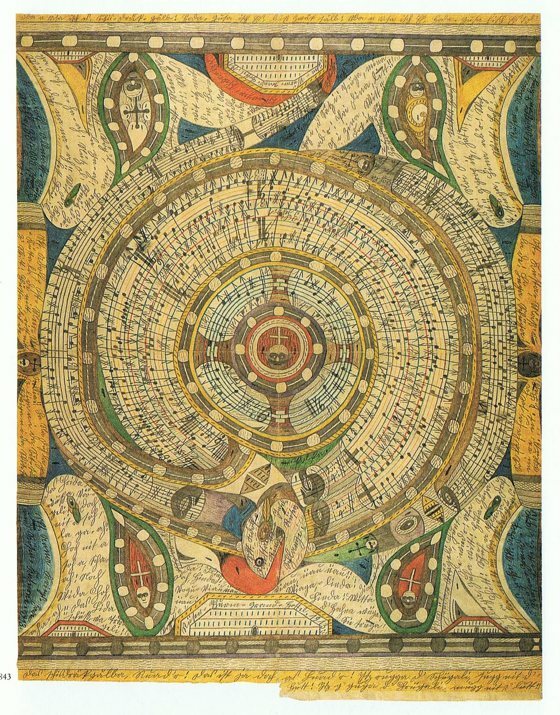 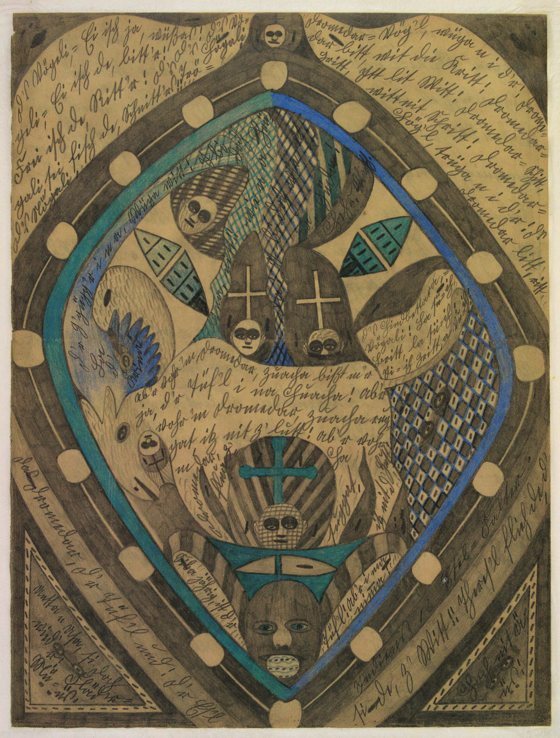 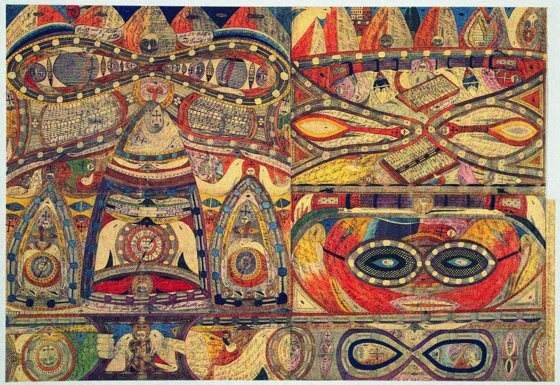 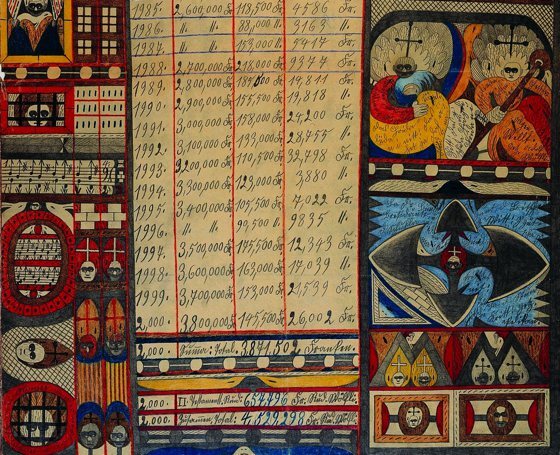 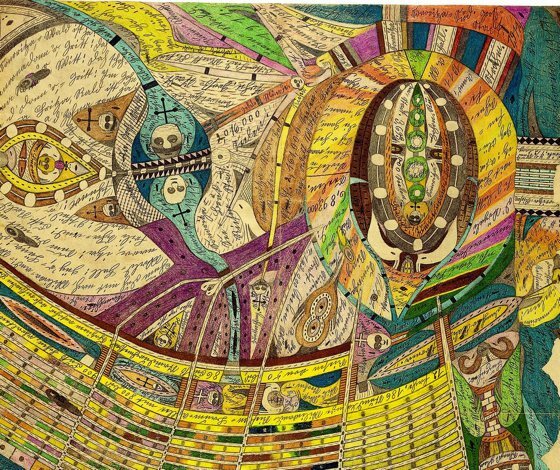 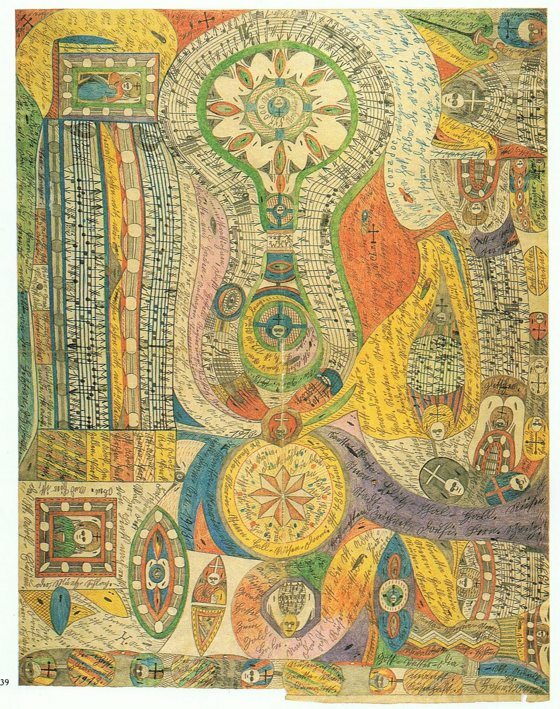 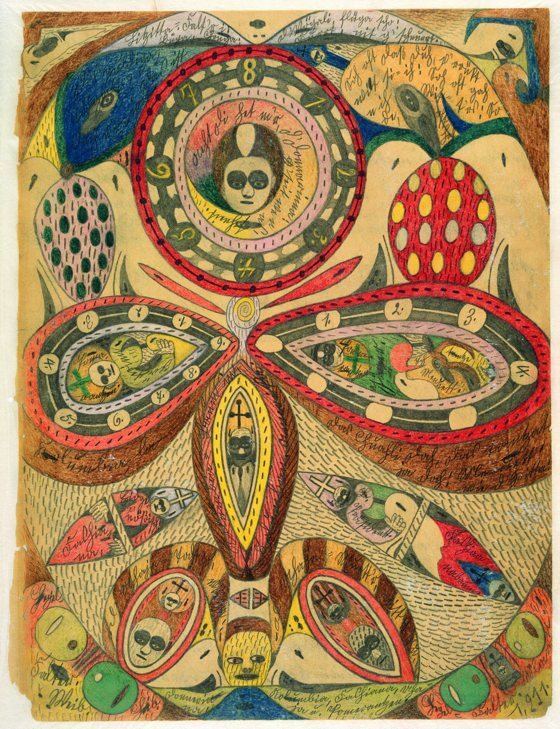 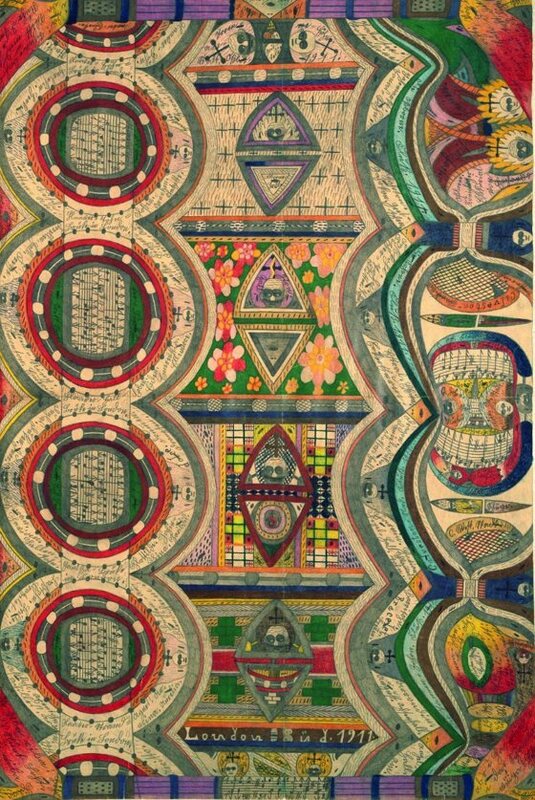 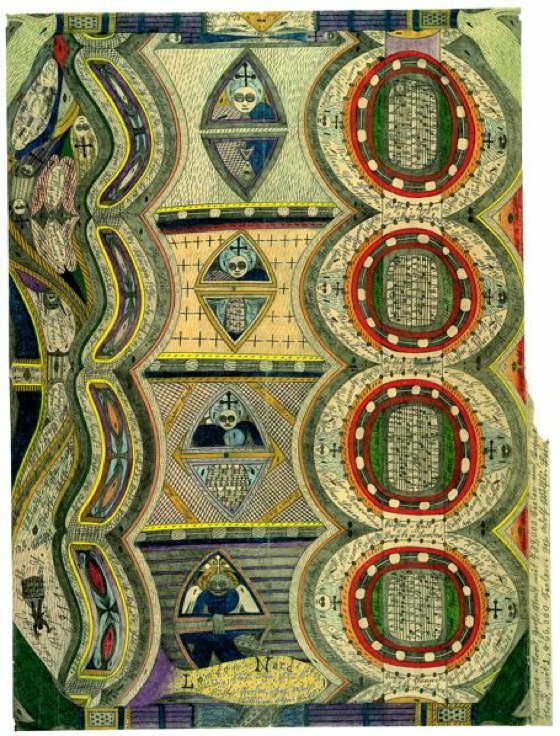 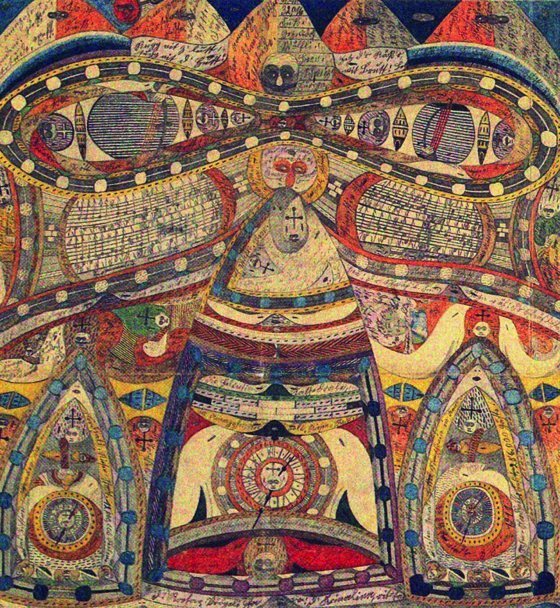 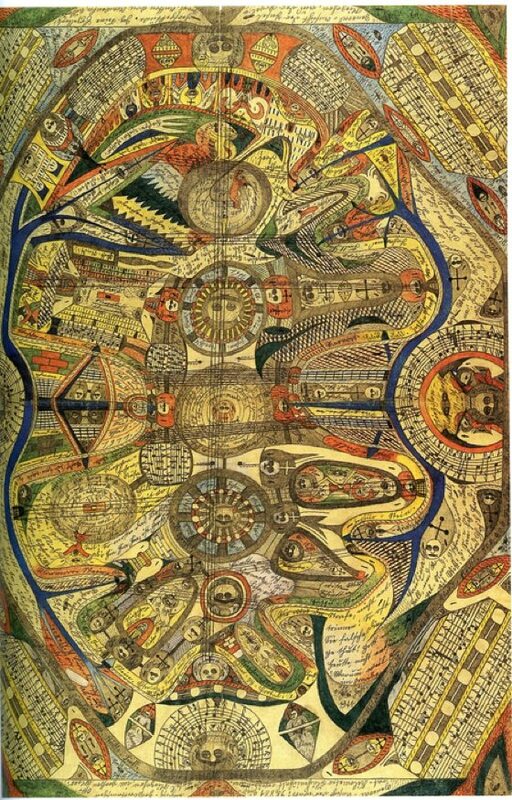 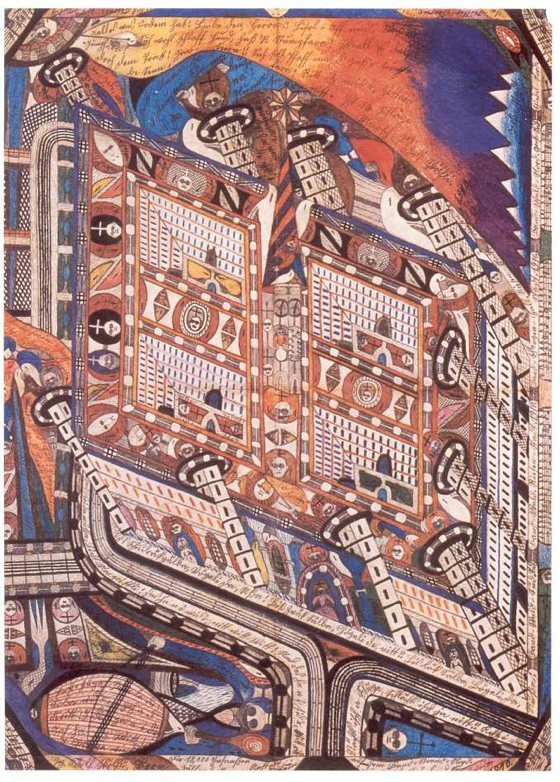 Adolf Wölfli is generally considered the most important international representative of art brut (art in a raw state). 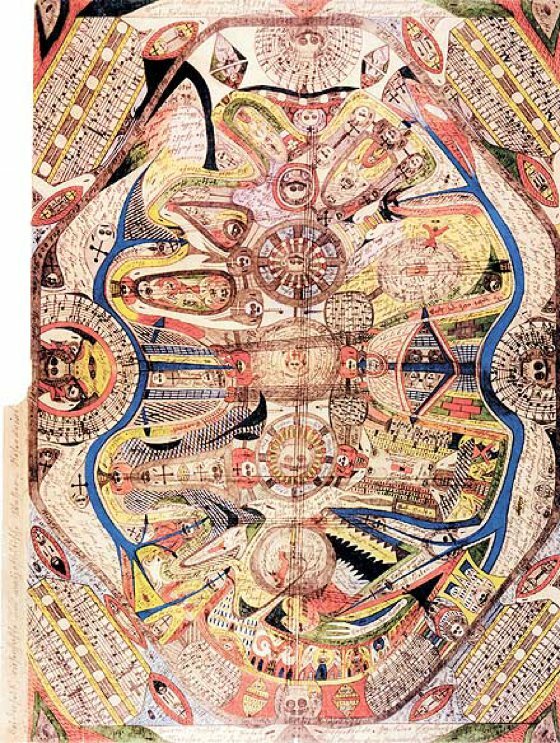 Nevertheless, this label does not tell us much about him. 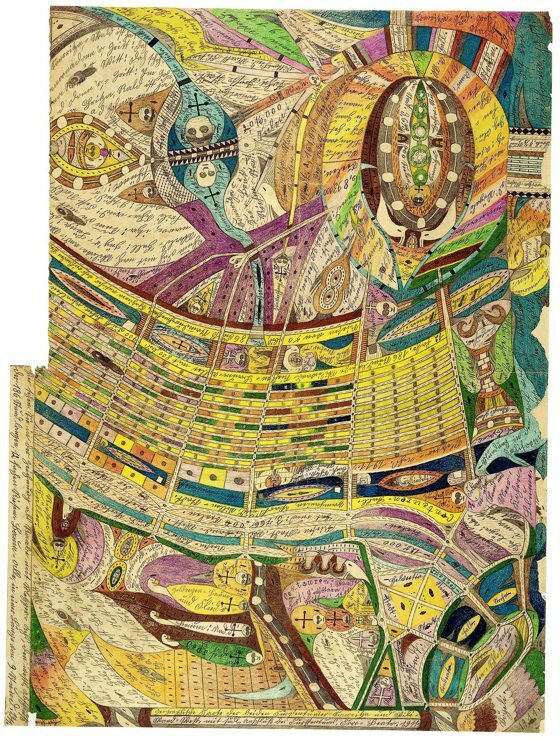 Wölfli’s work – in which he raised the profession of artist to that of creator and the creative act to an act of Creation – holds its own without any of the labels that we try to apply to it.